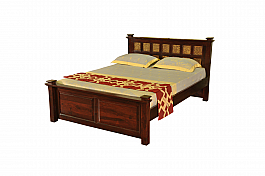 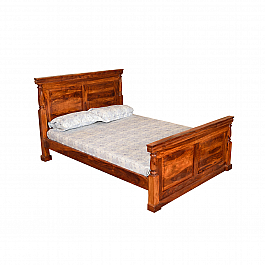 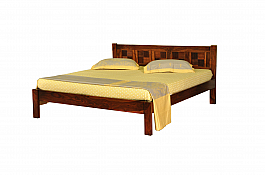 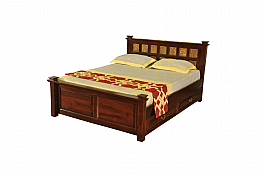 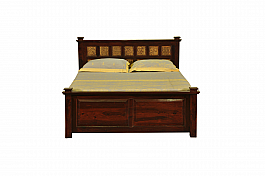 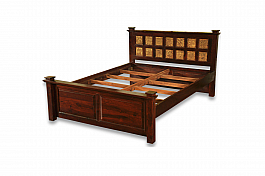 Description: Add a touch of class to your bedroom with the range, offering a sophisticated and luxurious style. 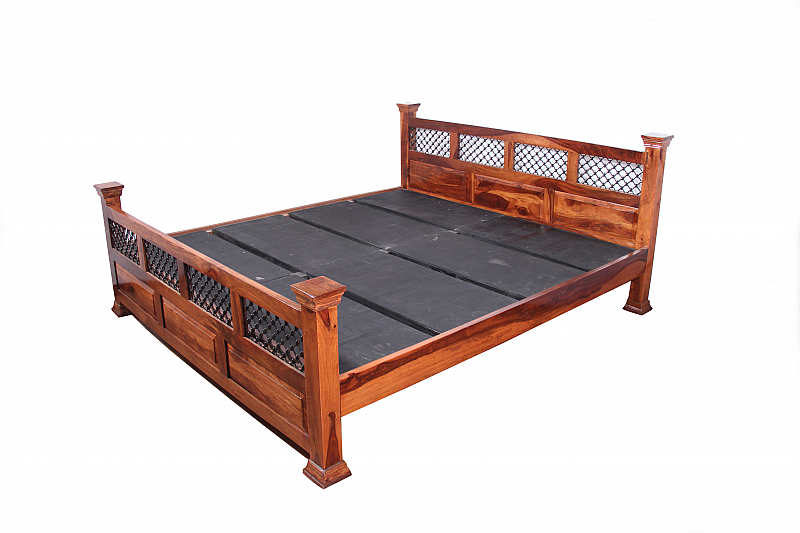 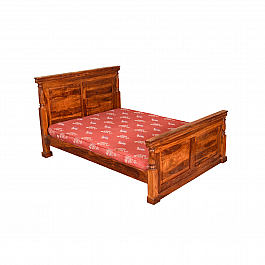 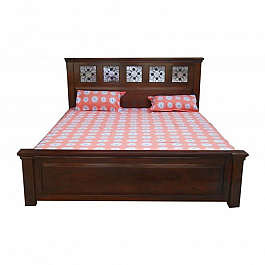 The Induscraft king size bed frame has a grand Mugal Jali work This is handcrafted twisted jali work which is made using years old traditional craftmanship., elegant look. 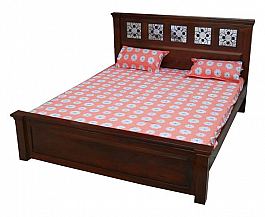 Made up of Sheesham Wood, which makes it more durable. 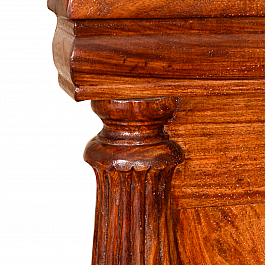 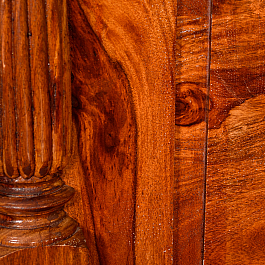 Show your confidence by your style of solid wood furniture interior. 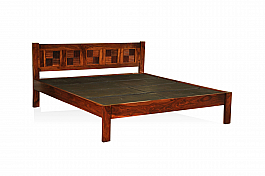 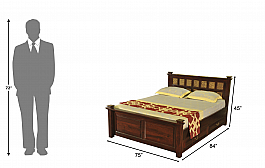 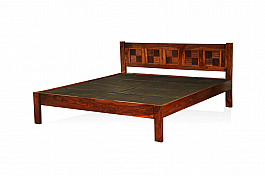 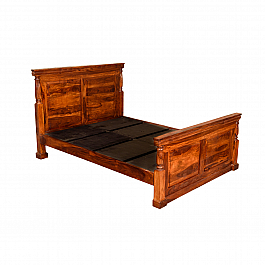 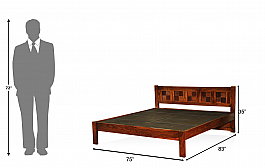 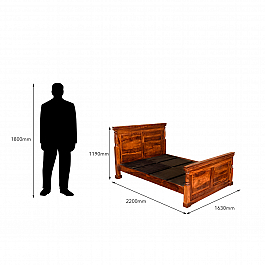 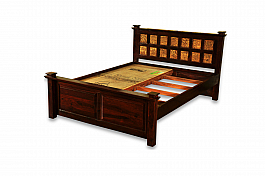 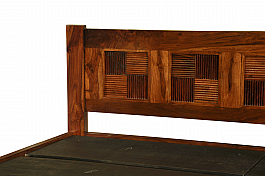 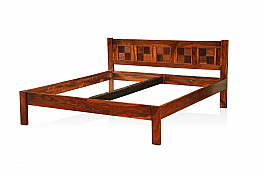 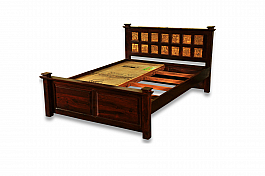 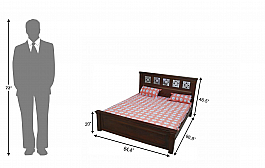 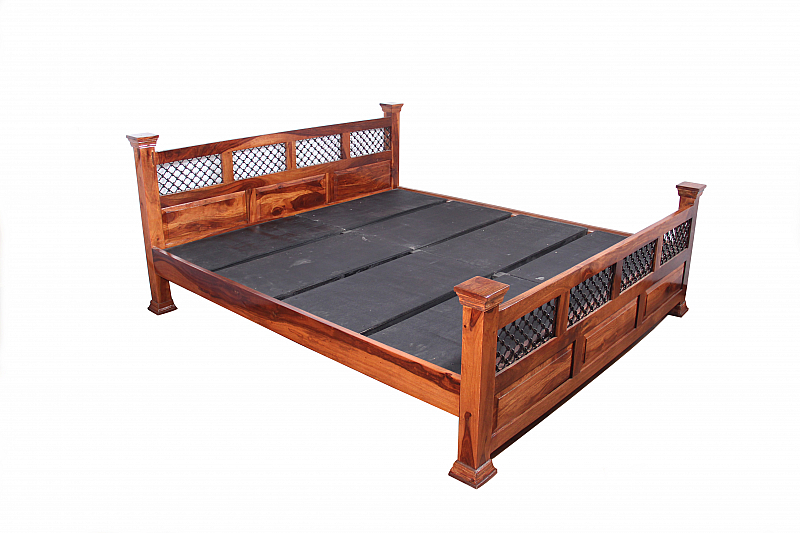 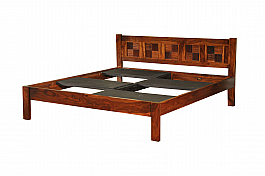 The Induscraft Queen size bed frame has a grand, elegant look. 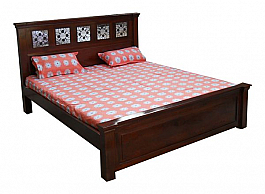 Made up of Sheesham Wood, which makes it more durable. 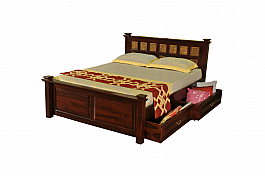 Show your confidence by your style of solid wood furniture interior.